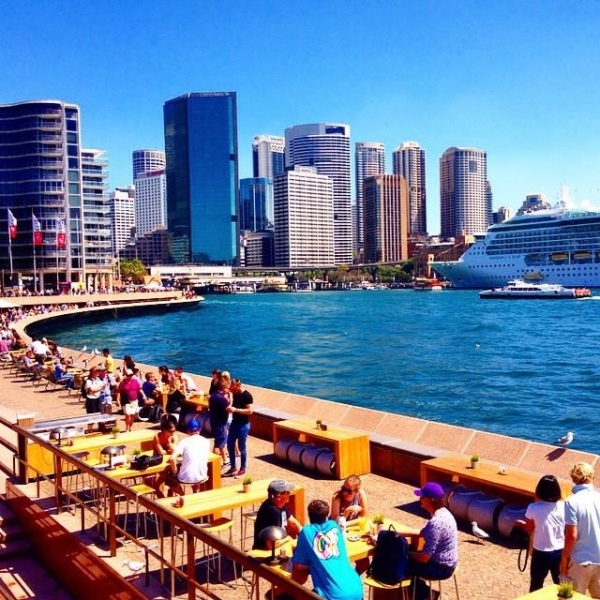 Summer in Sydney – What to do? What to do in summer in Sydney? KP Schwan tells all! Since Love & Road has not made to the Aussie shores yet, we invited our fellow blogger to tell us all the secrets about summer in Sydney. It’s Summer time and the Living is… Hectic! An Expat’s Guide to the Top Events happening this summer in Sydney! It’s summer time here in Australia. While Florida is never particularly cold in the winter, I must say it feels pretty good to be wearing shorts and sandals when the rest of my world back home is bundled in scarves and never ending layers. Australia has been good to me these last eight months, but summertime… Well, it’s a whole new ball game. It’s like dating a guy for months only to realise you needed glasses all along, and he’s even more beautiful than you could’ve dreamed! He’s even got a bit more pep in his step from this newfound confidence the weather brings. Hoards of gorgeous people have come out of the woodworks. (But really, where has everyone been before November?) The Harbour Bridge and Opera House are really just showing off at this point. The beaches, the nightlife, the people – it really couldn’t get much better here in Sydney in the summer. Complimenting the beautiful days, there are amazing rooftop bars where you can spend your day lounging about with a cocktail in hand. Yes, I realise people still work in this city. That doesn’t stop them from having a cheeky beer in the avo. My favourites include The Glenmore overlooking Circular Quay and the Opera House; The Aurora in Surry Hills; and The Shark Bar at New Brighton Hotel in Manly. As the summer in Sydney progresses, there’s a never-ending feeling to it. Every day, I’m told of a new festival, event, concert, show. That I, of course, HAVE to go to. There’s so much going on during summer in Sydney, it’s almost overwhelming. But that’s the beauty of living in one of the most beautiful, young and vibrant cities in the world. I have a constant case of FOMO, but I wouldn’t trade it for anything in the world. If you’re just arriving, you came at a great time, and you better hold onto your seatbelt (and your wallet), it’s going to be a wild ride. Every January, Sydney Festival transforms the city with a celebration of culture, art and music based on bold and off-the-wall ideas. You can attend shows ranging from contortionists to classic rock, or you can enjoy the free Festival Village underneath the stars. Australia Day – Jan. 26. No matter where you are celebrating, it’s sure to be a rowdy day. I, for one, am going to stay away from the crowds and enjoy a day of beer and cricket. Australian Open Surfing will be taking place at Manly. Various competitions and events happen on each day. On Valentines Day, there will be a free concert with Vance Joy. 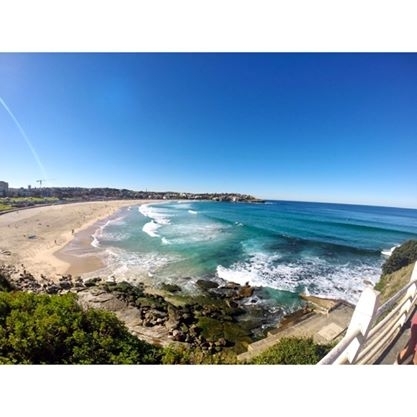 Surfers, skateboarders and Vance Joy – sounds like a perfect day to me! The best of the best line up in Sydney featuring DJs and Artists from all around the world – including Avicii, Afrojack and my personal Aussie favorites – Hilltop Hoods! This is sure to be one day you’ll never forget – sharing the experience with thousands of your closest friends. For the eighth year running, NSW is holding it’s annual celebration of local wine, food and producers. Come out and support your local growers, all the while tasting some delicious wine! That’s just the tip of the iceberg when it comes to events in Sydney. There are sideshows, free events and parties everywhere. You just have to be ready to jump at any opportunity for a good time! It’s been truly amazing to see the transformation all the way from winter to summer in Sydney. It’s an incredible city no matter what, but summer time suits Sydney well. Did you spent a summer in Sydney? Share your experiences with us! Sydney is one of the destinations in our list for 2016! Author Bio: KP Schwan is a full time wanderluster, part time travel blogger. She was born and raised on the sunny beaches of Florida, and now is based on the even sunnier beaches of Sydney, Australia. 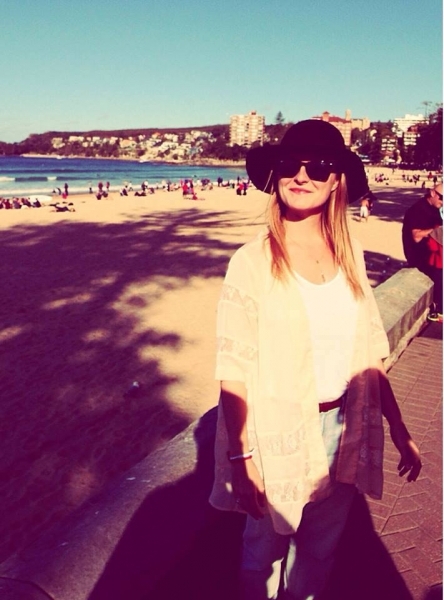 KP has worked in digital for two years, and is a freelance social strategist. 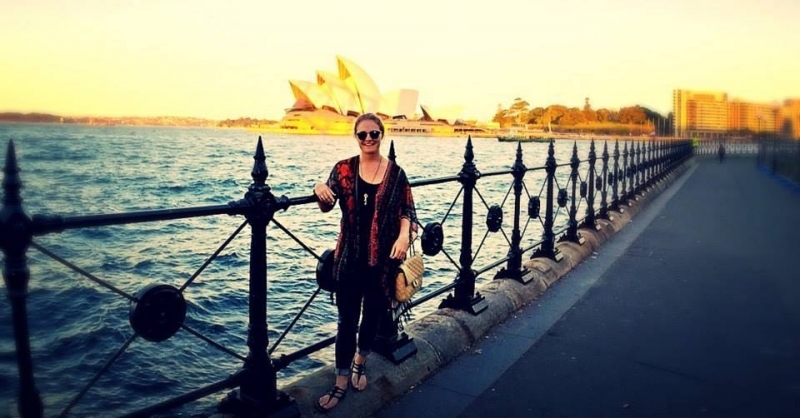 She’s traveled to 30 countries, studied in 3 and lived in 2 – all before turning 22. Her favorites include Ireland, Croatia, Australia and Costa Rica. In between trips, KP likes to practice yoga, write, run on the beach and plan the next big adventure. Huuumm… That sounds like an great opportunity Annie!! We are dying to go to Australia and NZ, but the problem is with our visas. But I´m sure 2016 will be the year to visit these two amazing countries! I love Sydney and I’m surprised to say that it’s one of my favorite cities in the world, despite the fact that I’m not mad about Australia! It’s so cosmopolitan and blessed with beautiful sights and history! Everybody that I met are all in love with Sidney!! I definitely have to buy my ticket to there. I think we might have the same “taste” for travels, I do love cosmopolitan cities, makes me feel alive! I would love to go to Australia! The architecture in Sydney looks so enticing. Maybe I can plan to go in 2016 for the Food & Wine Festival. That would be right up my alley! That´s sounds like a good plan Doreen!! Would love to read your posts about Food & Wine Festival in Sidney!! There will be no better combination than that: good food + good wine + Australia! Australia has so many great things to offer. Sydney is amazing, but the whole country is full of place to see and things to do. Thanks for offering a little taste of home! We travelled for about a month in Australia and didn’t see Sydney, choosing Melbourne instead because we have friends there. In Melbourne I had that rare feeling of “I could live here!” Your article makes me think Sydney would be the same! Now I’ll have to go back and check it out! We also have friends in Melbourne! They are all the time inviting us to spend some time there. Hope to make it soon! I have been dying to go to Australia. It’s funny though, all of the summertime events remind me a lot of Charleston. 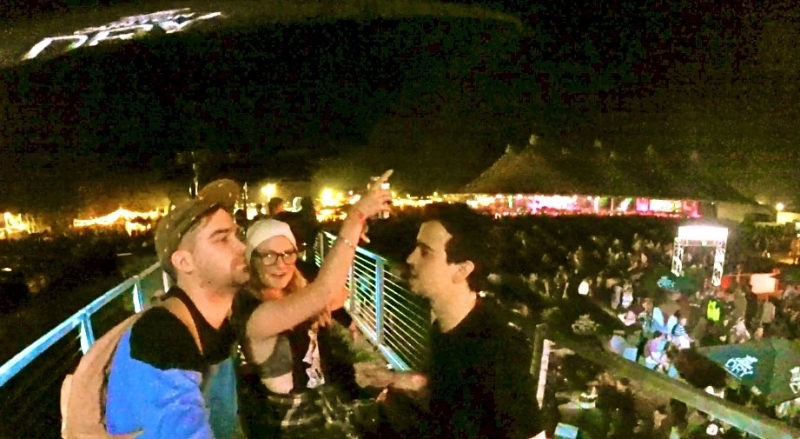 Ever weekend there is some concert or festival. This sounds like a blast! So it seems that Charleston is another place to be on summer time! Yep love it!! I’m a local and have lived in Sydney all my life! It’s great to see it through someone else’s eyes, because we really do take it for granted sometimes!! Might have to play tourist soon! This is true, we take it for granted. Back in my hometown I haven`t visited a couple of nice places. Maybe a summer meeting in Europe and later a summer meeting in Australia? Vivid is another great event that goes for a month starting from May 27. Amazing lighting across all of Sydney!